As well as presenting an amazing range of shows, we are a registered charity, deeply committed to our community and to providing creative opportunities for people of all ages. Through our Creative Learning programme, we reach out to people from every walk of life. We bring the magic of theatre into schools and community venues. We develop local talent. We make it possible to take part and have a go at theatre making. We are especially proud of our outreach work with children and young people. From Dare to Dazzle, for children from asylum seeker, refugee or migrant backgrounds; to our Young Company Hubs in local neighbourhoods, these magical opportunities for self-expression are proven to have a really positive impact on confidence, learning and life skills. We do all this because we believe in the power of creativity and the arts to make a real difference to peoples’ lives and to their communities. But there are challenges. Plymouth is a proud city with significant pockets of deprivation. It has the highest unemployment rate in the South West, with 21% of children and young people in the city living in poverty. The South West region is big, but poorly served by public transport. In these times of austerity, it is more important than ever to maintain creative opportunities that are genuinely open to all. To achieve this, we must find over £430,000 a year to fund all our community, education and talent development projects. 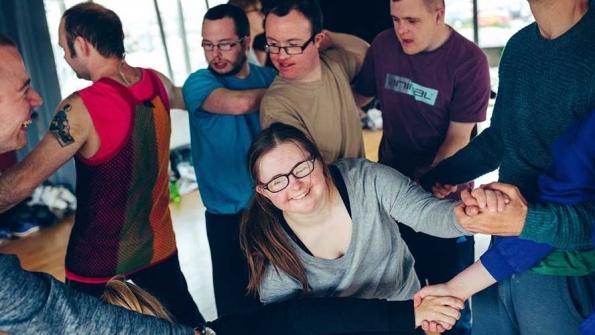 Our popular commercial programme helps to subsidise this work and we are grateful for the support of grant making trusts and foundations, but there is always more to raise. A donation of £50 or more goes a long way towards lighting up lives through theatre and performance. Any donation you can make, however large or small, would be gratefully received. You can donate here. Or, join us as an Ambassador or Friend and get great benefits whilst also supporting the theatre! Find out more here.